Can I Drive with a Broken Foot or Ankle? I just came across an article discussing whether or not it's legal to drive when your foot is in a boot or cast, and the answers contained in the article basically led back to this point: it really depends on what your doctor says. With that in mind, let's examine the factors that will help your podiatrist decide if it's safe for you to drive after breaking your foot or ankle. Unfortunately, there’s no one answer. There are some clear no-nos, of course: if your right foot is in a cast or brace, you absolutely should not drive. Once your cast has been removed, however, don’t assume that you’ll be able to drive immediately. After weeks of immobilization, strength in your foot and/or ankle will be diminished; you’ll therefore want to wait until your walking has returned to normal before even attempting to drive. What if it’s not your driving foot that’s been casted? Here, again, the answer is a bit murky: you may be able to operate a car safely, but then again, you might not be. The only safe way to test out your readiness in this type of instance is to practice driving in an empty parking lot: if the cast does not seem to be affecting your ability to brake or apply the gas pedal, and if you aren’t experiencing distracting discomfort, it is likely that you will be safe behind the wheel but, of course, there are no guarantees. Whenever you are driving with a painful injury like a broken foot or ankle, even if you are doing so after your cast has been removed, you must also be aware of your mental acuity. Even if your injury doesn’t directly affect your ability to drive, if you’re not sleeping well because of your pain level, it may not be safe for you to get behind the wheel regardless of your physical ability to do so. When you’ve broken a bone in your foot or ankle, you’ll obviously be concerned about your mobility, but you must always put safety before concerns about being inconvenienced. 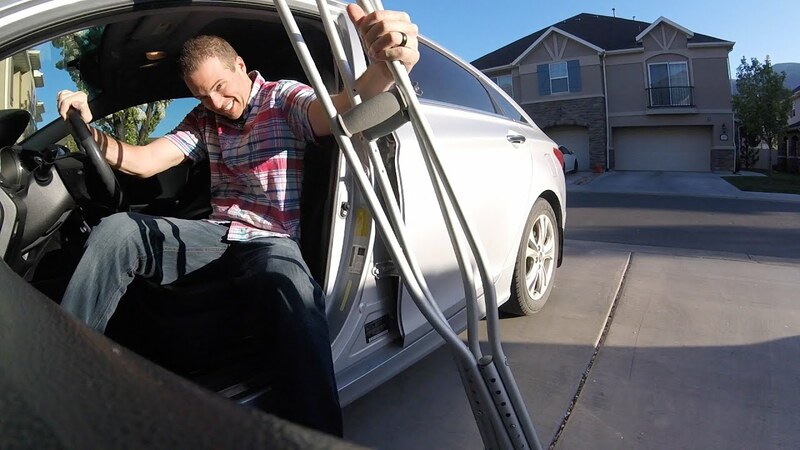 Only you can decide when you’re really ready to drive after an injury like this, but as your Houston podiatrist, I hope you’ll involve me in the conversation so we can keep you safe during and after your recovery period.